When running a crowdfunding campaign, it helps to have an ‘angle’ for your project, and your campaign videos. 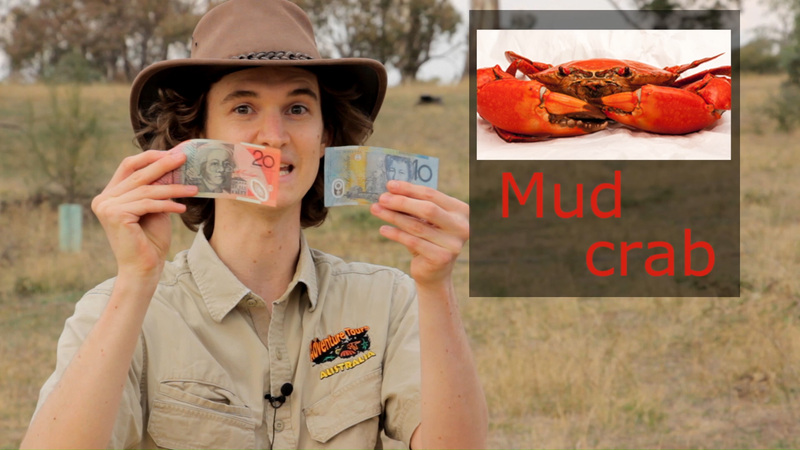 In 2016, I decided to play up my Australian-ness, and create a stereotypically ‘Aussie’ crowdfunding video. In 2016, I ran a crowdfunding campaign through the Australian Cultural Fund – a government supported crowdfunding platform for Australian artists to fund their work. This particular campaign was a part of an incentive program called MATCH, which aimed to encourage investments in artistic projects from everyday Australians. To do this, they offered dollar-for-dollar matched funding, up to a maximum of $10,000 per project. In other words, if I could raise $10,000 from my readers, I would receive an extra $10,000 from the Australian government. I had previously explained this concept to my readers via an initial crowdfunding video (see below). It is a mistake to run a crowdfunding campaign with a single video for the entirety of your campaign. This is boring for your supporters, who will see no need to watch the video more than once. If you cannot raise your entire fundraising target off the back of your initial video, you may find yourself ‘shipwrecked’ without enough people who have been convinced to donate on the strength of the initial video. This is why I highly recommend that all crowdfunding campaigns shoot at least two videos. It is important to shoot two videos that each have their own distinctive ‘look’. Stagger these videos throughout your campaign. Launch with an initial video, and then use your second video to ‘revive’ your campaign in the second half, when you are chasing final donations. You can essentially be saying the exact same thing in the two different videos. But the fact that the videos have two different ‘looks’, or tones, means that your supporters will be happy to hear you rehash things. With this 2016 campaign, my initial video had an ‘indoors and earnest‘ look and tone. My second video had an ‘outdoors and humorous‘ look and tone. The underlying content remained the same, but the ‘look’ and tone was tweaked. Generally, I think it is safest for crowdfunding videos to avoid humour and stick to a straight-forward tone of video. It is always important to explain your project’s aims in a no-nonsense way. This way, there is little risk of the audience being distracted by amusement, and forgetting to actually donate to your crowdfunding campaign after watching your video. I took this ‘serious’ approach with my initial crowdfunding video for this MATCH campaign. 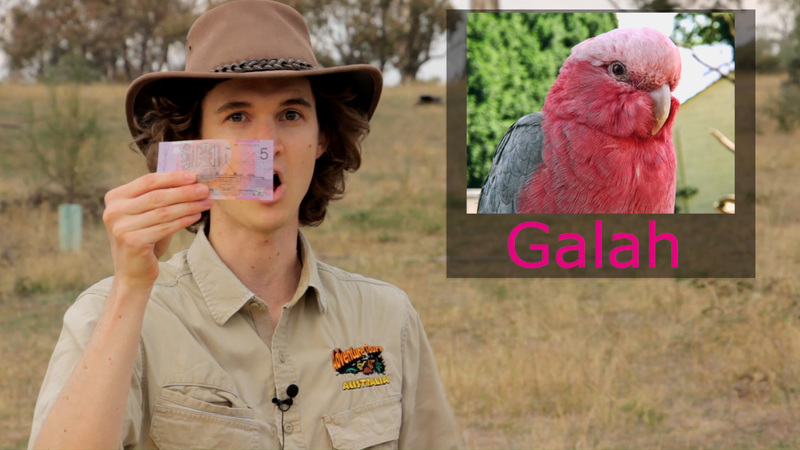 I received over 50% of my pledge total on the back of this ‘serious’ video. But then it was time to chase up the remaining 50% of donations with a new approach. With my ‘Aussie’ video I decided to do a half-half approach. i.e. use the first half of the video to explain my project in a straight-forward way, and then use the second half of the video to repeat this information in a humorous way. Instead of Jekyll & Hyde, I used the Stuart & Macca approach. The MATCH project was heavily funded by the Australian government, with the crowdfunding donations being tax-deductible for Australian donors. So, I decided to emphasise the ‘Aussie’ aspect of myself. The Aussie stereotype is in the Steve Irwin / Russell Coight model. A larrikin who wears Akubra hats and khaki shirts, swears often, and drinks beer. This is an image that seems exotic to foreigners, and that Australians also generally get a chuckle out of those who play to this stereotype. I wrote a script that incorporated as many Aussie slang terms as I could think of. “Cobbers”, “seppos”, “the blower”, “Sheila”, “stump up”, “double-bunger”, “fair dinkum”, “hooroo”. You name it. I also thought it would be funny to use the slang expressions for the different Australian currency notes: Galah ($5), Blue-tongue ($10), and Mud Crab ($20). 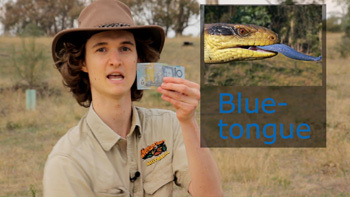 These names come from the respective colours of the notes and how they match the colours of Australian wildlife, and I wish that these nicknames were used more widely. I did the video shoot alone, and there were a lot of variables to consider. 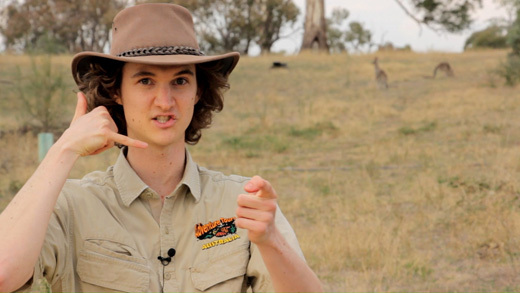 An important aspect was finding a spot with kangaroos that could serve as the backdrop. Luckily, I live in Canberra and kangaroos are a-plenty. 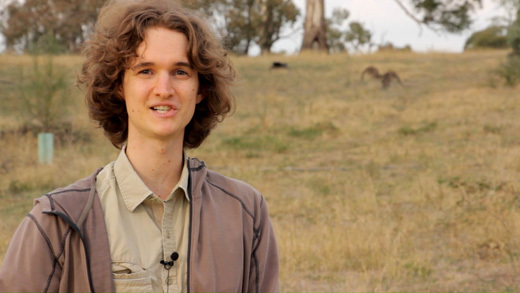 Normally I would have shot at nearby Weston Park, which has one of the most reliable kangaroo populations in the Australian Capital Territory (ACT). But the ACT government had recently begun a fertility study into this population of kangaroo, which resulted in many of the kangaroos being fitted with weird-looking tracking collars. This would have distracted from the shot, so I instead decided to shoot at Red Hill. I trapsed over Red Hill with my camera gear, searching for kangaroos – a task that took longer than usual. But before long I found a small mob that I hoped would stay still for 10 minutes of filming. It was a windless afternoon, with lovely golden lighting from the afternoon sun, which I emphasised with my gold reflector (see the photo below). I was determined to do a single-take shoot, and had already memorised my script after hours speaking the lines from the top of my head. But there were lots of props to get in place for the shoot. Akubra hat? Check! Shaken-up beer can? Check! Is the audio running? Check! Is the camera in focus? Check! 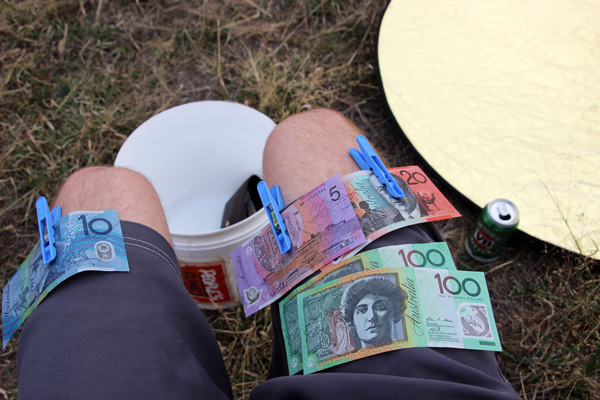 It was important to make sure my Aussie currency was within easy grasp, so I pegged them to my shorts. See also my beer can and photographic reflector in this ‘behind-the-scenes’ shot! Also, it was such a rarity to have $100 notes in my possession, as they are rarely-sighted in the wild. Because I had practised speaking the lines so comprehensively, the shoot was a one-take wonder. My only regret: I had planned to swear “c–t” an extra time for emphasis. Alas! Luckily the kangaroos stayed in shot until it became time for me to scare them away at the end. The video was intended to be humorous and over-the-top. But, in a case of not knowing where the fiction ends, and the “reality” begins, I now often find myself wearing this exaggerated ‘Aussie’ gear in my day-to-day life! The video received rave reviews from most people who saw it, and I’m sure it contributed to my crowdfunding campaign successfully reaching the $10,000 target. After a touch-and-go final day glued to my desk, I reached the target with just 70 minutes before the midnight deadline! Finally got there! And with just 70 minutes to spare!